Change management is no longer the exclusive specialty of consultants. To help their organizations implement and master new technology, IT professionals must also become proficient with change management. René Shonerd, Managing Director of Technology Initiatives at the American Industrial Hygiene Association, is an IT professional who understands change management. She recently told me about a session she co-led at the 2014 ASAE Technology Conference titled “Leading Change in IT.” She said that change management is a part of project management that is often overlooked by both the IT and executive staff. She’s been using a 4-frame model to deal with change management challenges. 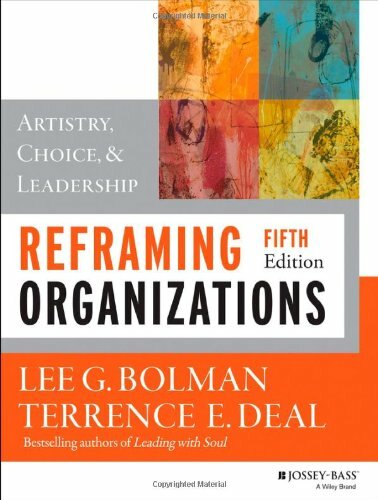 The model, from the book Reframing Organizations by Lee Bolman and Terrence Deal, has helped her address and reduce any resistance to change brought about by the implementation of new technology and to ensure that technology project goals are realized. In their book, Bolman and Deal use a metaphor to describe each of the 4 frames. The first frame, the Structural frame, views the organization as a machine. With this structural lens, you look at how a new project affects the machinery of your organization – its infrastructure or framework. Will the new technology require changes in policies, processes, procedures, job positions/descriptions, or training? If you don’t consider the project’s impact on your organization’s structure and prepare staff for any necessary changes, an ugly disconnect will reveal itself. Old policies and procedures may no longer make sense given the new technology. A sense of confusion and chaos settles in for staff whose jobs are affected. Your once well-oiled machine begins to break down. Change management isn’t a 21st century phenomenon. René told me a story about her father-in-law’s employer, a large technology company, in the 1970s. Back then his office’s standard mode of communication was well-written and edited interoffice memos. To improve communication between different locations, the company introduced a pre-email electronic communication system. The new technology was a game-changer. No longer did managers have to rely on support staff to type, proof, and mail correspondence. Instead they could communicate directly, person-to-person, with their colleagues. Entry- and mid-level management adopted the new system. However, senior management resisted because they couldn’t (or wouldn’t) type. They continued using support staff to send out and receive correspondence in the traditional way. Sensing trouble ahead, the project manager asked the CEO to use the new system to make a request of senior staff. Although initially resistant, the CEO sent the message and set a deadline to reply. When senior staff missed the deadline because they never read the original message, the CEO made his frustration known. Finally, senior staff got on board and learned to type so they could use the new system. Before introducing new technology, consider the skills that staff will need to learn. For example, even the chief lobbyist will need to learn how to look up a phone number in the AMS or pull a list to send an email to a group of CEOs. Recently, René was involved in drafting a new IT vision and strategy that would make it possible for staff to work remotely. However, the association’s policy didn’t allow staff to do that. Her team worked with HR staff to put a new telework policy in place that defined who could work remotely. Next we’ll look at how René used the Human frame, which views the organization as a family, to ease the anxiety and stress that can spread through an organization at times of change.